Create distinctive and personal greeting cards and enjoy sandwiches, desserts and non-alcoholic beverages available for purchase. Empire Board Game Library, Nob Hill’s unique and popular entertainment center, invites you to another imaginative event: Enchanted Coloring and Crafts. Looking for that special greeting card? Don’t buy one, color one. It will be a one-of-a-kind keepsake gift that says, “You are special.” Join us on Tuesday, March 19th, and become part of a different adult coloring event. Discover how easy it is to create your own souvenir greeting cards. You don’t have to be an expert. It’s amazingly simple and straightforward with everything you need at your fingertips. Not into coloring? Do other crafts instead? Bring them and join others who knit, needlepoint, embroider, quilt, crochet...everything except major woodworking ;). Best of all are the people. This is the friendliest crafting space in Albuquerque. Ideas and helpful hints are exchanged and new friends are made. The community created is almost as important as doing the work. The companionship and crafting take place on the third Tuesday of every month at Empire Board Game Library, 3503 Central NE (at Amherst). There is a $5 cover charge (please bring cash). 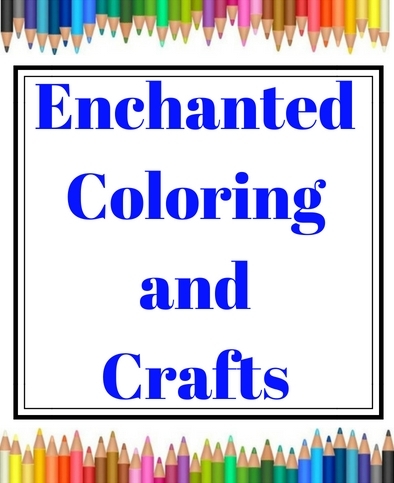 Enchanted Coloring and Crafts begins at 6:30 and ends at 8:30. It’s the best, most relaxing two hours you will spend all month. Plus, you will have created an individual, unique greeting card, moved further along on your current craft project and perhaps made some new friends. For more information, call (505) 232-4263.